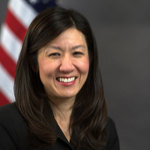 Jina L. Choi served as Regional Director of the U.S. Securities and Exchange Commission’s San Francisco Regional Office from 2013 to 2018. Under Ms. Choi’s leadership, the San Francisco office brought numerous groundbreaking enforcement actions that benefited Main Street investors, including most actions involving Tesla and its CEO and now former Chairman Elon Musk, Theranos and its founder Elizabeth Holmes, as well as Yahoo!. As Regional Director, Ms. Choi led a staff of approximately 130 enforcement attorneys, accountants, investigators, and compliance examiners investigating and enforcing the federal securities laws and performing compliance inspections in the San Francisco region. The San Francisco office has jurisdiction over nearly 1,200 investment advisers with over $6 trillion in assets under management, over 50 mutual fund complexes, and over 240 broker-dealers, as well as many public and pre-IPO companies in Silicon Valley, San Francisco, Seattle, and Portland, Oregon. Prior to her appointment as Director of the Regional Office, Ms. Choi served as an Assistant Regional Director and in the Division of Enforcement’s Market Abuse Unit. She has conducted and supervised investigations into financial reporting fraud, insider trading, misconduct by investment advisers and brokers, FCPA and other securities law violations. Ms. Choi also served as an Assistant United States Attorney in the Northern District of Texas. Before joining the SEC, Ms. Choi clerked for the Honorable Robert P. Patterson, Jr. (SDNY), worked as an associate at Davis Polk & Wardwell in New York and served as a Trial Attorney in the Civil Rights Division of the U.S. Department of Justice in Washington, DC. She received her BA from Oberlin College and her JD from Yale Law School.